Photo of the Jordan 12 Hydro. It appears that you'll be able to rep OVO x Jumpman in the comfort of your own home. Product photos have surfaced of an "OVO" Air Jordan 12 Hydro Slide, featuring style cues similar to the sneaker releasing next week. 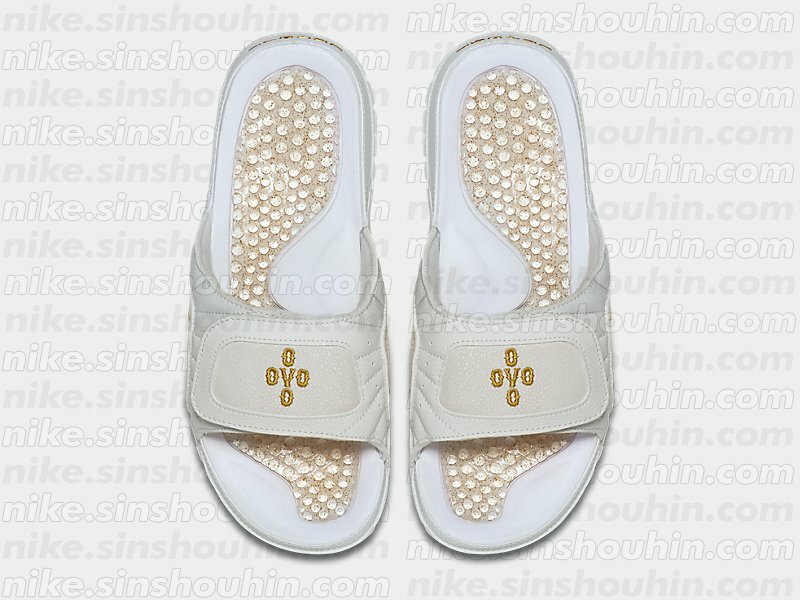 Crossing OVO embroidery appears in gold along the cross-straps. Though nothing has been confirmed, one would assume these will release alongside the 12 Retro next Saturday. Stick with Sole Collector for updates in the coming days.